Steel Stillages are simple pieces of industrial equipment that act as an integrated storage and transportation option for goods and products. 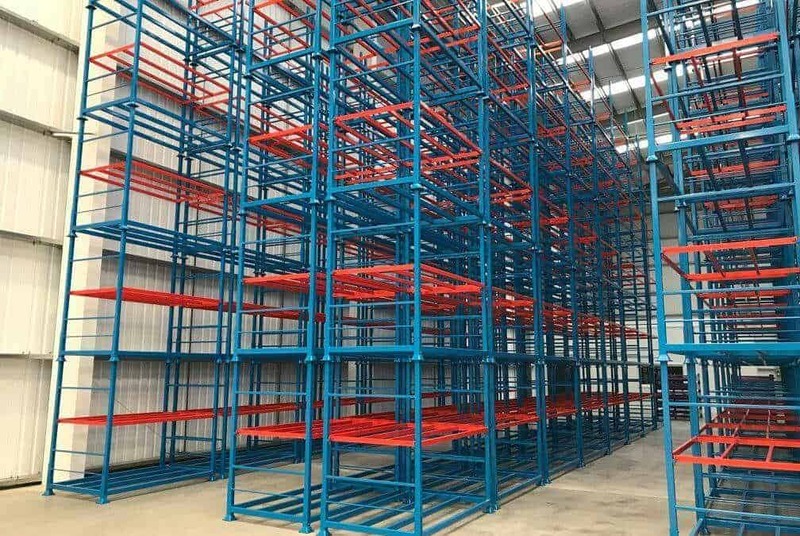 The beauty of the stillage design is that there are no rules and that each individual unit is often tailor-made to accommodate a certain product as safely as possible. You may think that Outside of the manufacturing world many would struggle to give a confident answer as two what a steel stillage is, does and what their benefits are but we can assure you that far from being an inanimate metal trolly, steel stillages are actually an economic necessity from a commercial viewpoint. 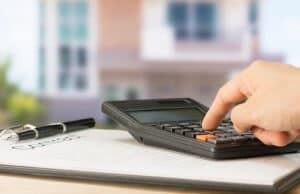 As no doubt you are aware, property prices and space for commercial activities in the UK seem to be rising every quarter. According to Statista, the average cost of constructing a square meter of interior industrial warehouse space was £751 in 2018. If we consider that most basic warehouses, factories or production facilities could be anything between 3,000 – 15,000 square meters, this puts the average construction cost alone at around a staggering £11,265,000 for a basic warehouse/factory site. High construction prices mean high rents and if your business is renting a warehouse space you will no doubt be under a lot of pressure to offset this cost by refining your processes to accelerate output and increase revenue. The good news is that steel stillages can be made to stack on top of each other and even interlock. Depending on the type of product you are producing, stillage units can be safely stacked vertically several times over. 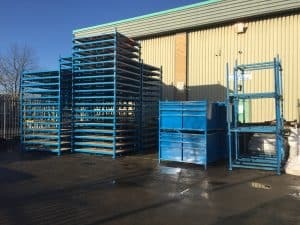 As an example let’s say a caged stillage measures roughly 3m2 which would equate to an average spatial cost of £22,35 based on the information from Statista. A storage area measuring 150m2 would therefore be valued at around £112,650 in terms of its construction cost. Again, with the cost of constructing this basic space being so high, the price of renting or buying such a space will also be equally as high. With stackable steel stillages, you can maximise the value of your floor space sevenfold as you can use the vertical space of an area as opposed to expanding over more expensive ground space. This will allow you to increase your output and run larger production orders which will generate more capital for the business. Streamlining processes is essential for any manufacturing operation as the overall bottom line is determined by striking an advantageous balance between the revenue generated by your products, and the cost of the process used to produce them. At the heart of an efficient operation is time. Every single minute a warehouse or factory light switch is on, it’s costing money which will ultimately come from your bottom line. A production process that takes as little as three minutes longer than it should do can have a huge impact especially if you are averaging 20 process repetitions a day. This equates to one whole hour lost every working day or nearly thirty hours a month due to inefficiency. 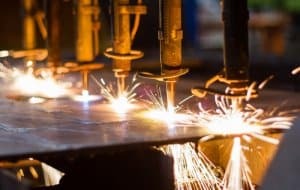 The important point to note is that running any manufacturing process is not cheap – according to the Department for Business, Energy & Industrial Strategy, the price of electricity for small & small to medium enterprises has increased every quarter incrementally since 2004. In fact, the prices of electricity in the non-domestic sector have tripled since this period. Steel stillages are a key tool in tightening up processes for many reasons. For example, a half drop front design gives easy access where rough goods can be quickly posted. They can also be powder coated in strategic colour hierarchies thus making them more visually striking and easy for operatives to identify which unit should be used to store a certain product. Steel stillages are also cost-effective for any business. To see how we can help you visit our website and enquire for more information.